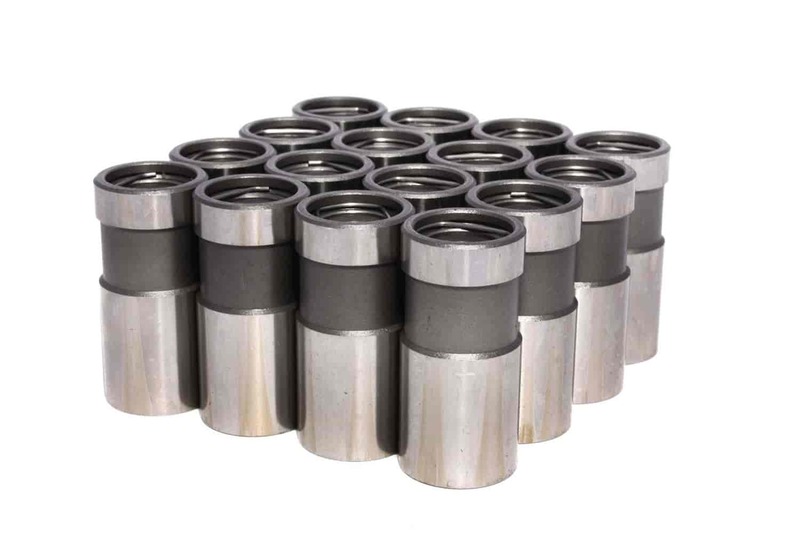 COMP Cams High Energy Hydraulic Lifters Ford 144-250 6-cyl. High Energy Hydraulic Lifters feature a patented metering valve that precisely meters oil to the rocker arms. Continuous contact between the metering valve & pushrod seat is maintained, eliminating excessive oiling at high engine speeds. Heat-treated pushrod seats are made of a powdered iron alloy for strength and wear resistance. These lifters have lightweight check valve discs for quicker response, which results in greater engine speed before valve float and added control at all speeds. For increased load bearing surface and longevity, the lifters pistons are longer than those of conventional hydraulic lifters. Does COMP Cams 834-16 fit your vehicle?